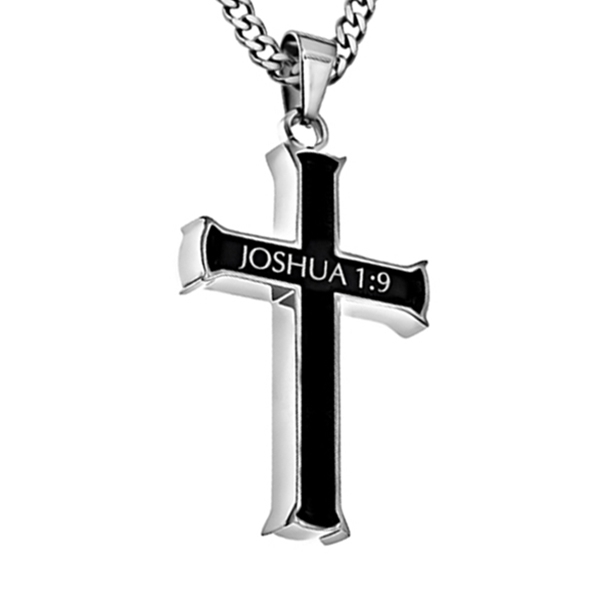 This cross necklace is made of solid stainless steel with a high polished finish outer frame and ebony middle. 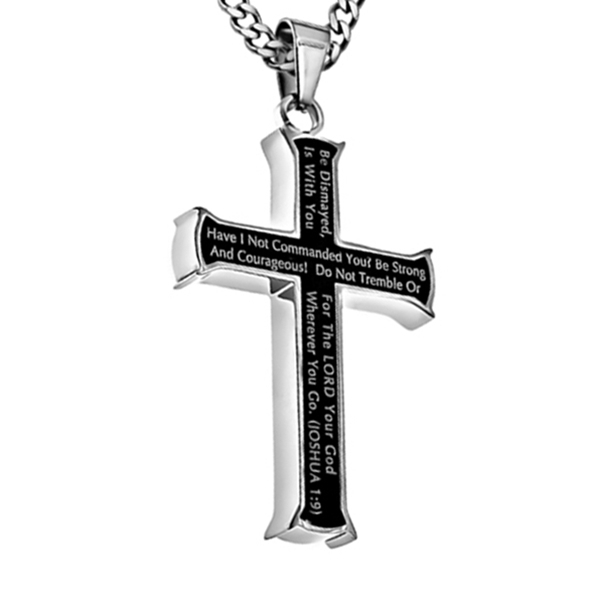 Front and back side Scripture is electroplated into the cross. The front of this cross reads "Have I Not Commanded You? Be Strong And Courageous! Do Not Tremble Or Be Dismayed, For The Lord Your God Is With You Wherever You Go. (Joshua 1:9)" Joshua 1:9 is on the back.